At long last, his visit to the nautical antiques store. 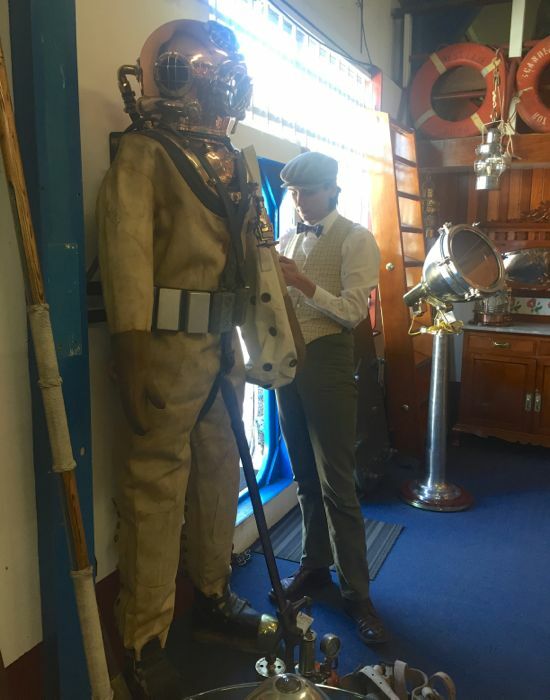 William is measuring the details of the dive suit. Beautiful photo, and fantastic sounding project!